With a Green New Deal and Student Strikes For Climate, will young people save us yet? If you don’t know who Swedish teenager Greta Thunberg is, you can think of her as an international climate-change counterpart to Representative Alexandria Ocasio-Cortez. Like the rock-star congresswoman from New York, Thunberg is a charismatic young woman whose social-media savvy, moral clarity, and fearless speaking truth to power have inspired throngs of admirers to take to the streets for a better world and call out the politicians and CEOs who are standing in the way. Ocasio-Cortez, 29, is known for championing the #GreenNewDeal and schooling right-wing haters on Twitter. Thunberg, 16, is known for launching the #SchoolStrike4Climate movement—tens of thousands of high-school students worldwide are skipping school on Fridays until their governments treat the climate crisis as an emergency—and for torching billionaires and heads of state at the World Economic Forum in Davos last week. Call them the Climate Kids. Like Ocasio-Cortez and Thunberg themselves, the grassroots activist movements they have roused are comprised almost exclusively of teenagers and twentysomethings. 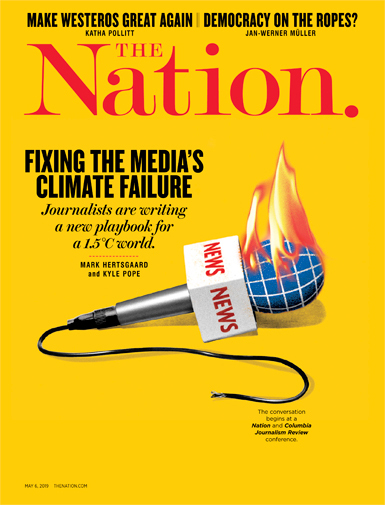 These are not your father’s environmentalists: supplicant, “realistic,” and accepting of failure. These young people are angry about the increasingly dire climate future awaiting them and clear-eyed about who’s to blame and how to fix it. And they seem to have the bad guys worried. Greta Thunberg was all of 15 years old when she began her solo weekly protests outside the Swedish Parliament last August. 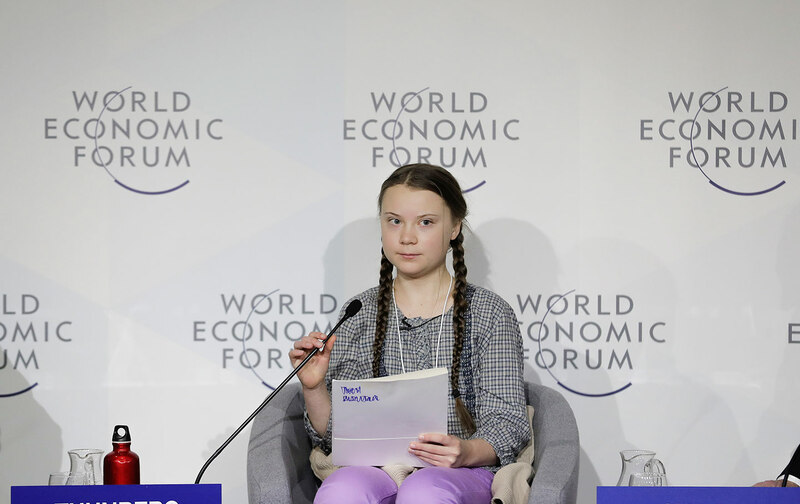 With her round, serious face and light brown hair braided into pigtails, the teenager cut a quixotic figure as she held a handmade sign that said, in Swedish, “School Strike for Climate.” But a BBC reporter filed a story, the story got shared on social media, and before long students as far away as Australia were striking too. Three groups that are supporting Villasenor’s March 15 strike at the UN—the Sunrise Movement, 350.org, and the Extinction Rebellion—are representative of the more militant stance that younger activists have brought to the climate movement in recent years. Traditionally, most big environmental groups were resolutely nonpartisan, focused on inside-the-Beltway policy fights and loathe to explicitly call out corporate interests, though Greenpeace, the Sierra Club, and Friends of the Earth were exceptions. Now, an array of scrappy, youth-dominated grassroots groups are ready and eager to get in the face of the climate-wrecking industry, its executives and the politicians they bankroll. The Sunrise Movement, for example, has been a primary mover behind the Green New Deal. Mainstream media coverage usually credits Representative Ocasio-Cortez for injecting the idea into the political conversation, and her role was pivotal, but the true story is more complex. After watching most elected officials, including Democrats, fail to treat the climate crisis as an emergency, Sunrise activists welcomed the incoming Democratic majority in the US House of Representatives with protest signs demanding that Democrats “Step Up Or Step Aside.” Next, Sunrise activists occupied the office of incoming Speaker of the House Nancy Pelosi to demand her support for a Green New Deal. Echoing the intra-movement argument during the Obama years over whether to oppose the Keystone XL pipeline, older environmentalists condemned the sit-in: Why put an ally like Pelosi on the spot? Sunrise, however, accepted no such constraints. The sit-in went viral after Ocasio-Cortez, likewise rejecting the wait-your-turn etiquette expected of freshmen members, joined the protestors. And Pelosi, who began her political career as an activist, applauded the Sunrise activists, even if she eventually disagreed with their demand for a special committee for the Green New Deal. Few ideas in recent political history have spread as rapidly as the Green New Deal, and it’s notable that it was these young outsiders who made it happen. Their elders certainly had the opportunity to do so, as I can attest from personal experience. Having proposed a Global Green Deal—essentially, a Green New Deal that would apply internationally—in my 1998 book Earth Odyssey, I sought meetings with leaders of US environmental groups to urge them to consider the idea. A massive green investment program would not only prevent climate catastrophe, I argued, it would create millions of jobs, solving the environmental movement’s political problem of appearing not to care about ordinary people’s economic needs. Only one environmental leader agreed to meet with me, and that was to tell me that my idea was impractical. Twenty years later, a Green New Deal is well on its way to being the de facto climate policy of the Democratic Party and is spreading overseas. Last week at Davos, the new prime minister of Spain, Pedro Sanchez, told the billionaire class that the era of neoliberalism and deregulation was over, adding that the climate crisis now demanded “ecological responses” from every government on earth. “The ecological transition, which has started to be known in many forums as the Green New Deal, should not instill fear,” Sanchez said, because it would create jobs, not destroy them. “Power concedes nothing without a demand,” said Frederick Douglass during the fight against slavery. “It never has and it never will.” It’s their understanding of this fundamental theory of social change that makes Thunberg, Ocasio-Cortez and all the Climate Kids so effective and exciting. They grasp what many of their elders apparently never learned: that the climate struggle is about power—not having the best science, or the smartest arguments, or the most bipartisan talking points, but power. Specifically, it’s about the power Exxon and the rest of the fossil-fuel industry have over governments and economies the world over, and the industry’s willingness to use that power to enforce a business model that is guaranteed to fry the planet. With the moral absolutism of youth and the self-preservation instinct of all living things, the Climate Kids recognize that either the industry goes or they do. And they are not going down without a fight.